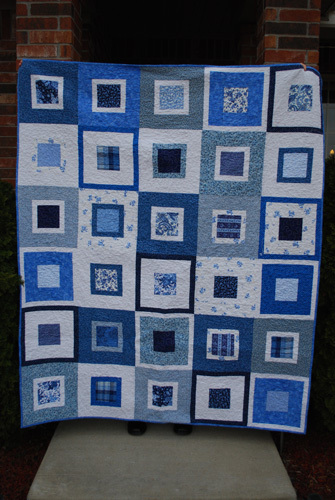 I just love how this quilt turned out! And I’m excited to deliver it in person! Woohoo!! China Blue is done! It has a post wash measurement of 56 x 67. 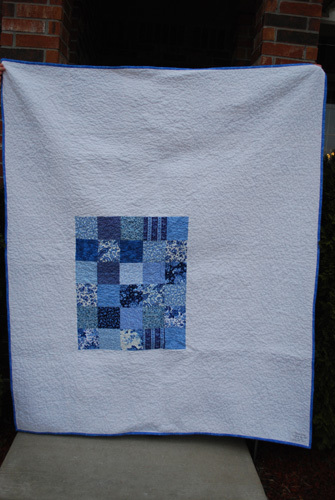 I also really like the back, and I’ll admit that it was a mistake…the rectangle block of the 5 x 5 squares was supposed to be a square, and it wasn’t until after I finished the quilting that I realized it was a rectangle. Oops…but that’s fine, because I like it lots! Love it! It turned out beautifully! Lucky recipient! OMG Gorgeous! Reminds me of one I made in 1978. You might remember it Lets see maybe I can take a photo and send it to your phone. Thanks Aunt Patty! 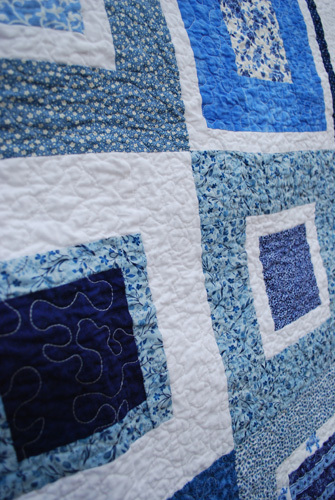 I’d love to see a photo of the quilt you made…do send it!